RUSH: So the president is getting ready to leave for Ohio. He is going to try to hammer General Motors, change their mind. They have announced they're gonna close a manufacturing plant there. I find it very interesting that Ford has announced that they're planning an $850 million investment and 1,000 new jobs at a Michigan plant. RUSH: As he always does, President Trump stopped on the way to Marine One, the helicopter on the way to the airport to catch the airplane to Ohio, he stopped to chat with reporters. He gives reporters more access than any president in my lifetime. He loves interacting with 'em. I think he loves what they think are their tough questions, and Trump's one of these guys that loves telling people what he thinks. He loves sharing his opinion on things. He very much believes what he believes, believes what he believes is right, and he loves hearing himself say all those things. I can relate. So here's a little review. By the way. Greetings, and welcome back. 800-282-2882 the phone number if you want to appear on the program. A lot of questions on the Mueller report. And speaking of the Mueller report, a New York judge released 900 pages of documents. Who in the world creates -- you know, every time a subpoena for documents -- if somebody subpoenaed my documents, I don't have one! Documents. Documents of what? Well, other than emails and stuff, but 900 pages of documents. I understand if you're president, you're working in the government, you have to keep a permanent record of everything you do, but I do not, you know, I don't have a diary, I don't do any of that stuff. So somebody subpoenaing documents -- now, watch, somebody will do it now. You're shaking your head, don't talk about it 'cause they'll subpoena me? Is that what you're doing in there? It’s just always amazed me. “I need to see your documents.” “Okay, here's a thousand of 'em.” Where do you get 'em? Who's got time to produce a thousand documents? Anyway, 900 pages of documents released by a federal judge in New York yesterday at the request of the New York Times, a Freedom of Information request, these 900 pages of documents reveal that the special counsel, the right honorable Robert J. Mueller the 14th was investigating Michael Cohen just two months after Mueller was appointed. Mueller has been looking into Cohen practically from the get-go, almost a year before the FBI raided Cohen's home and office. Now, this tells me, because I'm quite insightful on this stuff, the fact that Mueller has been investigating Cohen for all but two months of this two-year investigation, tells me two things. One, Mueller obviously completely believed the Steele dossier. And the more I learn of how many people believe this thing, folks, I'm running out of ways to characterize this thing for you. Hoax, fraud, series of lies. And as I learn, as I discover more and more, how apparently many people believed this crap, which is what it is, it is literally made-up stuff. There isn't one element of the dossier that is factual, that has been corroborated, that has been verified. Yet we now know the dossier was the sole reason for all of this, the sole reason for the Mueller investigation, the appointment of the special counsel, the ruination of Michael Flynn and Manafort and everybody else that's been ruined here. The fake, phony piece of literal excrement created by the campaign of Hillary Clinton. But the fact that this guy, the right honorable Robert J. Mueller the 14th, Esquire, has been pursuing Cohen for all but two months of the past two years tells me that he believed the dossier. Because Cohen is a major figure in it. Cohen was in Prague. Cohen changed his socks in Belarus. So if he's been looking at Cohen for all this time, he had to have believed the dossier. Folks, this is scary. This is literally scary that these people literally believe this thing. That the man with the most impeccable integrity and honor in all of government, Robert J. Mueller, believed this. And the second thing that this tells me is that Mueller wanted to spy on Cohen in the hope of getting dirt on Trump! He's been investigating Cohen for all this time. There's no question. It wasn't just Rosenstein that wanted to wear a wire and go entrap Trump. 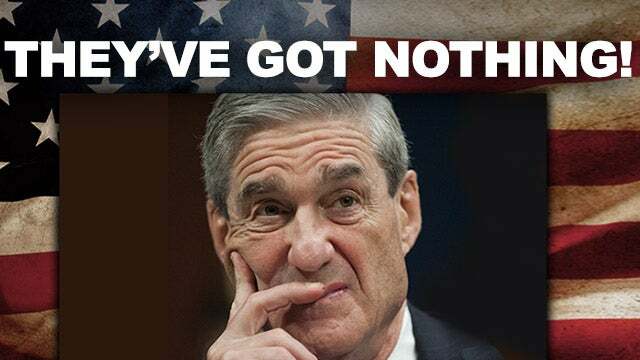 It's been Mueller and all of his team investigating all the people close to Trump just damn certain that they were gonna find evidence, some evidence that they could say was collusion and get rid of the guy. Even though it's a Reuters story, even though Reuters doesn't mention it, the records show that “Mueller’s office got a judge to grant him authority to read 18 months’ worth of Cohen’s emails. It's an electronic device that law enforcement can use in their cop car or anywhere they're hiding out, and it makes your phone think that it's a cell tower. And that's how they find you. It does a number of things, the StingRay does, but one of the things it does is identify you, and it makes your phone, any phone, think that it is a cell tower, so it starts pinging locations and everything else, all the data they get from cell towers. And they're illegal for you and I, the average citizen to have, but law enforcement has them. You can get 'em on the black market. They're kind of fun to fool around with people, 'cause you can use 'em to screw up people's phones and all kinds of stuff. They were using a StingRay -- there's also another piece of equipment like it called a Triggerfish -- but it was used to pinpoint the location of all of Cohen's cell phones. And the reason for that was hoping that they would find Cohen in proximity of Russians and saboteurs and colluders and maybe even Trump. Mueller even got access to Cohen's iCloud account. Apple will turn that information over under certain circumstances. And they obviously did here. Now, where is the outrage at the government spying on people? There isn't any on this, 'cause it's Cohen and he deserves to be spied on. Trump deserves to be spied on. Anyway, after all that, Mueller's team still doesn't seem to have found any Trump-Russia collusion. They just found that Michael cone was in financial trouble and in need of money. That's all they found. They didn't find any collusion. Mueller would not have turned this over to the Southern District if he had found anything. So Trump's asked about this. He's asked about the Mueller report a bunch of times. He also held up a map of ISIS control on election night compared to now to show how successful his administration's been in decimating ISIS. 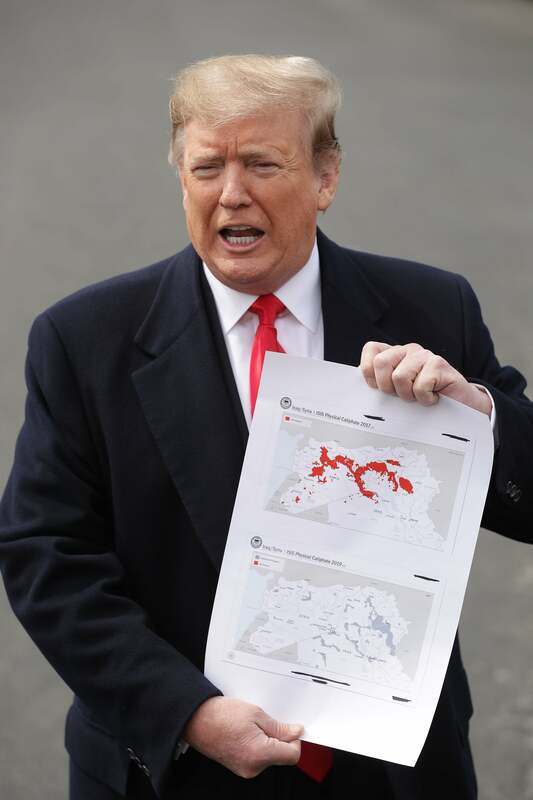 One red spot left showing where ISIS has command-and-control, and he said it'll be gone by tonight, so we're gonna wipe out ISIS tonight specially. Then he went back to the Mueller report. Trump said let everybody see it. He told the reporters before he got on the helicopter, let everybody see it. He says he has no idea what's in it. Let everybody see it. Says he can't wait to go back to Ohio. The place he was going to was closing, they build tanks, they're all open, doing great, he wants to make sure it stays open. Another question back to the Mueller report. Trump once again says there was no collusion, there was no obstruction. None of it made any sense after his great victory. There was no reason to sully his great victory. It didn't happen from collusion. He was then asked about leaving tariffs on China for a long time. He says he's gonna do that, gonna leave tariffs on China to make sure they live by the deal, for which Trump is being praised, by the way, the trade deal with China. 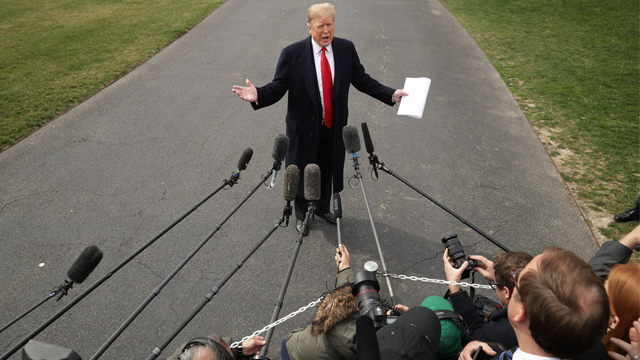 The ChiComs had free rein on the USA, and Trump says we're leveling that playing field, taking in billions and billions and billions of dollars from the ChiComs via the tariffs. Trump said Twitter is the only way he can get the word out over corrupt media. The corrupt media doesn't report the facts. He says on five sites I have over a hundred million people. That's how I get honesty out. No. I'm not gonna stop tweeting. I'm not gonna surrender the news media playing field to you people!